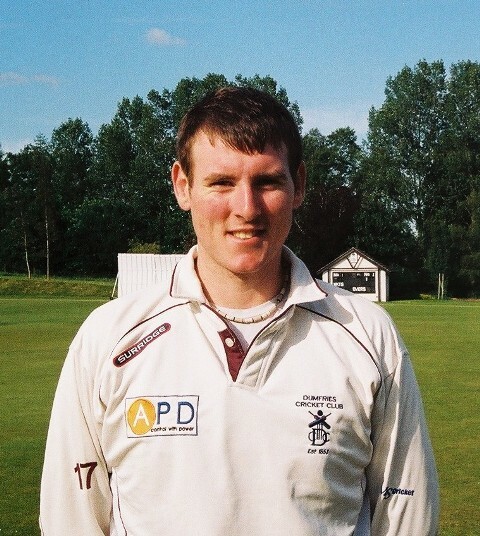 APD Dumfries consolidated their third place in National League Division 2 with a 91 run win over SMRH at Nunholm on Saturday. The crucial partnership of the match was between opener Alan Davidson and Josh Geary who shared a ninety run partnership taking the score from 58 for 2 to 148 when Davidson was run out for 59. Two further thirty run partnerships raised the total to 212 for 5. Davidson and Geary pressed on and boosted the final total to 241 for 6. The Dumfries innings was controlled by Geary who finished not out with an excellent 73. Robert McBride and Jim Patterson then did their job by removing the opposition top three. At 100 for 4 the visitors still looked in contention but the spinners made inroads with four wickets for just twenty more runs. Beveridge took three wickets and Goodin two and SMRH were all out for 150. In the Western Union Division 2 match at Whitehaugh Chris McCutcheon top scored with 39 runs until he fell to one of several good catches. It took a 64 run seventh wicket partnership between Williams and Cox to revive the innings to an improved total of 174. Whitehaugh opener McLeod then played the match defining innings. McCutcheon eventually bowled him round his legs for a hard hitting 80 runs out of an opening century stand. Thereafter runs became harder to come by but, despite three wickets falling to Cox, Whitehaugh won by four wickets.